The vote for a new leader is split between Labour’s five affiliated unions (20%), Labour’s MPs (40%) and the party membership (40%). The affiliate unions are using this mechanism to encourage their members to vote for one of the three contenders. They hope that in mobilising members to vote for a candidate it will logically follow that these members will be more encouraged to vote Labour at the election. The problem is that the pro-Labour trade union leaders are pushing a party that does not represent the interests of workers. This has been shown throughout its history as it has often betrayed working class people as well as the indigenous Maori. Under the last Labour government there were attacks on Tuhoe, foreshore and seabed legislation which stripped Maori of customary rights, and participation in the ‘war on terror’. The fact that the right-wing National Party was elected to power shows just how much people distrust Labour. 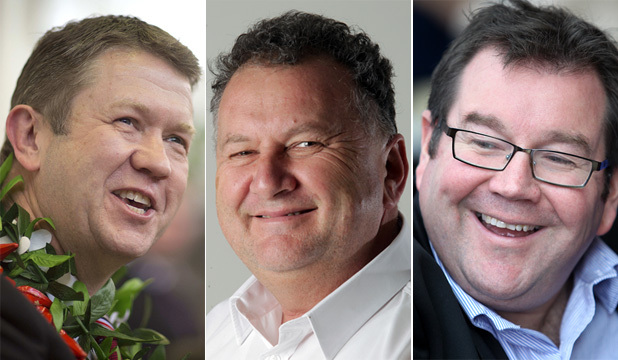 David Cunliffe is one of three Labour MPs contending for the leadership. He is trumpeted by some as the ‘left’ contender. However his actual record is very poor – even by Labour standards. For example in the last Labour-led government he was a vocal advocate of public-private partnerships. He was also the Minister of Immigration when several Iranian men were unjustly detained in an Auckland prison. This had to be fought through a hunger-strike inside the prison and via a protest campaign outside. Cunliffe also did not oppose the sending of troops to either Afghanistan or Iraq. It says a lot about the state of a party when this is the best ‘left’ Labour has to offer. The truth is that since the 1980s Labour has been transformed into an out and out party of big business. It accepts neo-liberal ideology, it lacks any real internal democracy and it has been emptied out of its working class base. While people will sometimes vote for the party to punish National, they no longer participate in it with any enthusiasm. The world economic situation is such that no matter which of the capitalist parties are elected next year they will be forced to carry out cuts in order to satisfy the needs of the their big business backers. Only a party that rejects a system based on profits before all else, can address the needs of ordinary people. Labour will never be this type of party. It will continue to be wracked by crisis especially as the world economic crisis gets worse and it is forced to alienate its voter base even more. Far from sowing illusions in Labour the worker’s movement needs to create a new party – one that is prepared to take on the big business profiteers and implement socialist policies that unashamedly benefit ordinary people.